On the eve of the world’s largest trade show dedicated to all things telecom—Mobile World Congress (MWC), which will be held next week in beautiful Barcelona, Spain—everyone is extraordinarily focused on the next big industry transition: the move to 5G. The interest and excitement about this critical new network standard is palpable. After years of hypothetical discussions, we’re finally starting to see practical test results, helped along by companies like National Instruments, being discussed, and realistic timelines being revealed by major chip suppliers like Qualcomm and Intel, phone makers like Samsung, network equipment providers like Ericsson, as well as the major carriers, such as AT&T and Verizon. To be clear, we won’t be seeing the unveiling of smartphones with 5G modems that we can actually purchase, and the mobile networks necessary to support them until around next year’s show—and even those will be more bleeding edge examples—but we’ve clearly moved past the “I’m pretty sure we’re going to make it” stage to the “let’s start making plans” stage. That’s a big step for everyone involved. These industry transitions only occur about once a decade, so they are important demarcations, particularly in an industry that moves as fast as the tech industry does. As with the transition from 2G to 3G and 3G to 4G, there’s no question that the move to 5G is also a big moment. These industry transitions only occur about once a decade, so they are important demarcations, particularly in an industry that moves as fast as the tech industry does. The transition to 5G will not only bring faster network connection speeds—as most everyone expects—but also more reliable connections in a wider variety of places, particularly in dense urban environments. As connectivity has grown to be so crucial for so many devices, the need for consistent connections is arguably even more important than faster speeds, and that consistency is one of the key promises that we’re expecting to see from 5G. In addition, the range of devices that are expected to be connected to 5G networks is also growing wider. Automobiles, in particular, are going to be a critical part of 5G networks in the next decade, especially as more assisted, semi-autonomous and (eventually) fully autonomous cars start relying on critical connections between cars and with other road-related infrastructure to help them function more safely. As exciting as these developments promise to be, however, it’s also becoming increasingly clear that the switchover from 4G to 5G will be far from a clean, distinct break. In fact, 5G networks will still be very dependent on 4G network infrastructure—not only in the early days when 5G coverage will be limited and 4G will be an essential fallback option—but even well into the middle of the 2020s and likely beyond. A lot of tremendous work has been done to build a robust 4G LTE network around the world and the 5G network designers have wisely chosen to leverage this existing work as they transition to next generation standards. 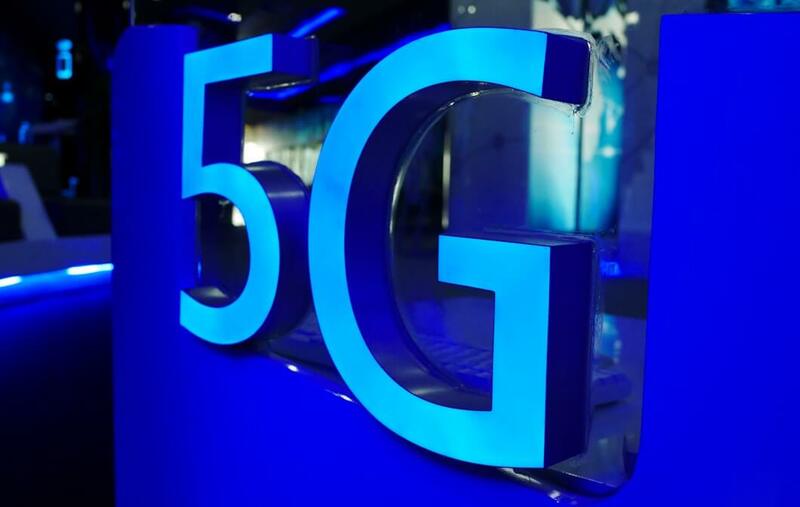 In fact, ironically, just before the big 5G blowout that most are expecting at this year’s MWC trade show, we’re seeing some big announcements around 4G. The latest modem from Qualcomm—the X24, for example, isn’t a 5G model (though they’re previously announced X50 modem is expected to be the first commercial modem that will comply with the recently ratified 5G NR “New Radio” standard), but rather a further refinement of 4G. Offering theoretical download speeds of up to 2 Gbps thanks to 7X carrier aggregation—a technology that allows multiple chunks of radio bandwidth to function as a single data “pipe”—the X24 may likely, in fact, offer even faster connection speeds than early 5G networks will enable. In theory, first generation 5G networks should go up to 4 Gbps and even higher, but thanks to the complexities of network infrastructure and other practical realities, real-world numbers are likely to be well below that in early incarnations. Of course, this is nothing new. In other major network transitions, we saw relatively similar phenomena, where the last refinements to the old network standards were actually a bit better than the first iterations of the new ones. In addition, a great deal of additional device connectivity will likely be on networks other than official 5G for some time. Standards like NB-IoT and Cat M1 for Internet of Things (IoT) applications actually ride on 4G LTE networks, and there’s little need (nor any serious standards work being done yet) to bring these over to 5G. Even in automotive, though momentum is rapidly changing, the “official” standard for vehicle-to-vehicle (V2V) connections in the US is still DSRC, and the first cars with it embedded into them just came out this year. DSRC is a nearly 20-year old technology, however, and was designed well before the idea of autonomous cars became more of a reality. As a result, it isn’t likely to last as the standard much longer given the dramatically increased network connectivity demands that even semi-autonomous automobiles will create. Still, it highlights yet another example of the challenges to evolve to a truly 5G world. There is no question that 5G is coming and that it will be impactful. However, it’s important to remember that the lines separating current and next generation telecom network standards are a lot blurrier than they may first appear.